Medicines management: Can I hide medication in a patient’s food? The NMC also says, ‘the registrant would need to be sure what they are doing is in the best interests of the patient’. It adds that they are accountable for this decision. In the case of unconscious patients, such as those admitted to intensive care as an emergency, medications can be given to them under common law as being in their ‘best interests’. 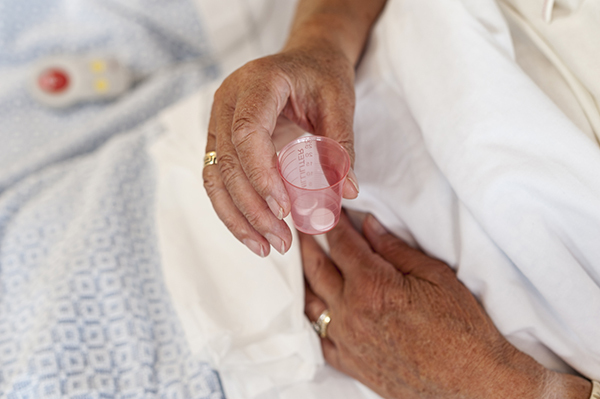 In these cases, it is highly unlikely that the patient will have been able to give their consent prior to any medication or treatment being started, but the ‘best interest’ principles apply because clinicians are trying to save the patient’s life. These principles are also generally upheld where there is enough evidence to suggest that the person is not competent to refuse the medication. This includes patients who are conscious but confused, and are not deemed to have the capacity to make decisions about their care under the Mental Capacity Act 2005. When administering medication to a patient, the patient should, where possible, be involved in the decision-making process. In patients who are conscious and are not confused, for example, we can usually negotiate with them about what medications they are willing or unwilling to take. If a patient is experiencing side effects from a medication which is making them reluctant to take it, for example, talking to them about this may help you come to an agreement. Just because we think that a medicine will improve someone’s health, it doesn’t give us the right to administer it to them against their will or in a covert manner.